I like bulbs in a pot: they bloom slowly and, one morning, the smell of spring floods the kitchen. I adore dark chocolate, a crafted bar with salt crystals wrapped in a colourful paper. I like a book, because with that you give me an adventure and the chance to plunge myself in another life. 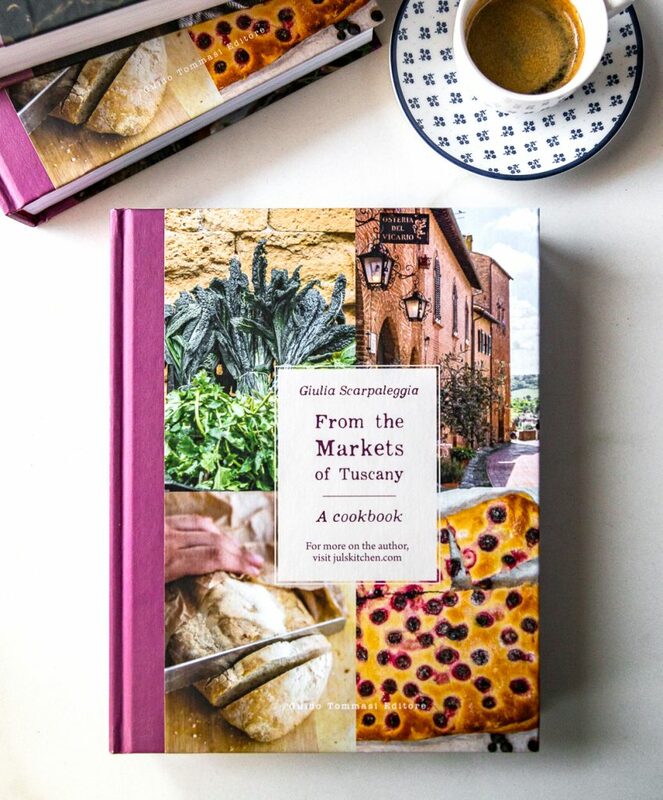 I like cooking books, I have lots of them, but they are never enough: I’ll flip through the pages, I’ll fill my eyes with new recipes, colours and ingredients, I’ll look for stories intertwined with food. But above all, give me your time. Stay with me for a walk along the river, hold my hand, let’s talk about the future without the continuous interruptions of notifications on the smartphone. Help me with the pots of aromatic herbs, and those strawberries, too: they will shed the winter clothing and prepare to welcome spring. Take me to have breakfast in that bar we like, and let’s spend an hour there, drinking coffee and trying to decide whether the chocolate eclairs are better than the rice pudding. Cook for me, giving me the luxury of a dinner designed for me, where my only role is to sit down and sink the spoon into the risotto, my eyes into yours. Time is the most precious gift you can give someone, even today, for Valentine’s Day. You can bake a box of cookies – here on the blog you can find the white chocolate and pistachio biscotti, the wholemeal biscotti with oats and walnuts, these hazelnuts, barley and cocoa cookies or even the buttery occhi di bue – or craft some chocolates (these, for example, are really easy). Or, it may be time to cook a dinner, just for him, or just for her. If this makes you more anxious than a visit to the dentist (which for me is rather up in the scale of anxiety-producing activities), today Tommaso and I are here for you, a novice in the kitchen. Before beginning to cook, five tips if you find yourself in front of the stove almost by accident. They are valid today, for the this special menu, but on any other occasion. Then, should you discover you have fun in the kitchen, remember that the secret is always one: practice. The more you cook, the more you will master the techniques and the recipes and you’ll want to play with the ingredients, You will improvise, too. If you venture yourself in the kitchen for the first time, or if you do not feel completely comfortable in front of the stove, do not overdo it. You do not need to cook a five-course menu, no one expects a lobster in a Thermidor sauce. Choose just a main course, like today’s risotto, but also the potato and artichoke soup, or a Florentine beef stew, because long cooking are always more forgiving. If a cooked dish it’s more than enough for you, buy a good cheese as an appetiser, and serve it some honey and walnuts. End the meal with artisanal ice cream, well presented, maybe with some crumbled meringues on top (you can buy those, too). Today, food is just an excuse to stay together, it is true, but spend some time choosing the right ingredients, and you’ll be halfway there. Make sure you have everything you need before you start cooking the recipe, read it to understand the steps and the timing. It is not nice to realize just at the end of the recipe that you need the cheese to stir into the risotto. I say it because I still do it, despite my job is to actually write recipes, and I found myself more than once without the key ingredient in the rush to make a recipe that I could not wait to try. The oven roasted pumpkin and the vegetable stock can be prepared in advance, leaving the cooking of the risotto at the very last minute, just before bringing it to the table. So you will serve it hot and creamy, as it should be. This is my basic principle when I organise a dinner with friends, too. I like to stay with them, and not in the kitchen in between pots and pans, so I always try to have the basic preparations ready: then you just assemble them at the very last minute, without stress and bad surprises. Use all your senses when you’re in the kitchen, but, above all, taste. Especially if you are a beginner, be shy with the seasonings and adjust them gradually. When you accumulate a bit of experience under your belt, you can also understand if a tomato sauce is bland by simply smelling it – my mum does it – but for us, mere mortals, it is important to taste: to understand if the rice is cooked al dente, or if we added enough cheese, or salt in the stock. This should have been the first point. I concede that not for everyone cooking is fun, but since you’re there, try to enjoy it. Turn on the music you like, better not to watch Netflix, you could forget the food on the stove (true story, mine). Try to be present in the moment, listen to the sizzle of the onion in the butter, inhale the sweet, almost caramelised smell of the pumpkin. Cooking can also be an exercise for mindfulness, to learn how to be in the here and now. And if something goes wrong, have a laugh over it, as Tommaso and I did when I burned the first dinner I had cooked for him, the rustici from Lecce. As I told you before, do not overdo it. I used Tommaso as a consultant, as he is specialised in cooking for beginners, and together we tried to think about a menu that could be simple and low-stress for a Valentine’s Day romantic dinner. The bread is the typical Tuscan bread, preferably one or two days old, but you can use the bread you have at home, even better if it is a sourdough loaf. The idea is to recycle stale bread. The same can be said of cheese: obviously this recipe was born to use fresh pecorino from Pienza, but I’ve tried this recipe with other types of fresh pecorino, or melting cheese, and it always works. Truffle butter is the icing on the cake, but of course it can be omitted or replaced by a knob of salted butter. If you want to splurge on an unforgettable appetiser for your friends, just shave some fresh truffle as soon as you take the coccini out of the oven. I am going to guide you step by step to make this risotto. Once you’ll be confident with the basic recipe, you’ll be able to change it according to the season to to what you will find on the market stalls. Poires Belle Hélène is a classic French dessert created in 1864 by Auguste Escoffier, so called in honour of the operetta La Belle Hélène by Jacques Offenbach. In Escoffier’s recipe pears are gently poached in a sugar syrup and served draped with chocolate sauce and a scoop of vanilla ice cream. In my version, I replaced Escoffier’s sugar syrup with a spiced syrup made of red wine, water, sugar, star anise, cardamom and cinnamon. 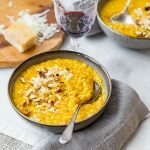 This is a simple pumpkin risotto, but if done well, it is one of the most comforting dishes you can imagine, it hugs you from the inside, it is creamy and delicate. Instead of cutting the pumpkin in small cubes and cooking it on the stove top, you’re just going to slice it in a half and roast it in the oven. First of all, this saves time and avoids a chance to burn it. Then, once you cut it open, it reduces the risk of cutting yourself while slicing it with a knife. Sometimes you can find the pumpkin already open, at the market or at the supermarket. 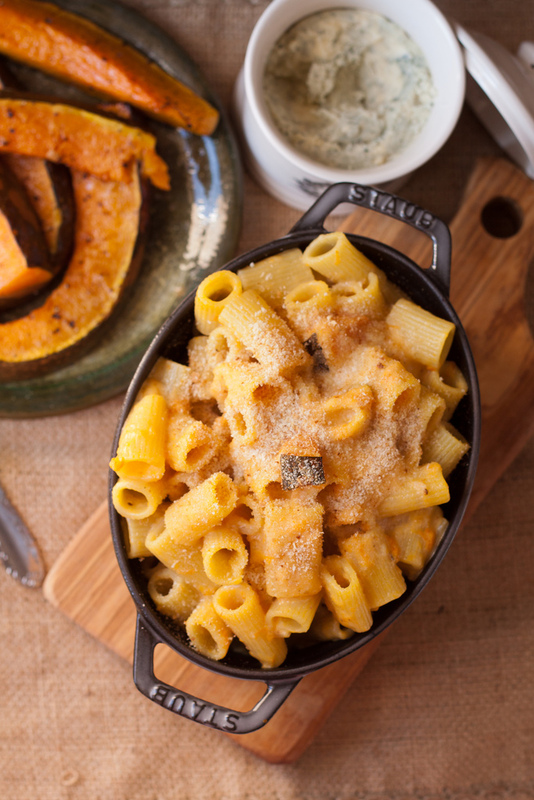 Use a Mantua pumpkin, a butternut squash or a similar local variety. The smaller, the better. Choose a pumpkin, or a squash, with a dense, sweet pulp. Season the pumpkin and roast it until it is golden, almost caramelised on the edges, with a pulp so soft that you can scoop it out with a spoon. You can even prepare it in advance. If it is too big, use what you need for the risotto, and add the rest to mashed potatoes or use it to dress a bowl of pasta. You’re going to make the vegetable stock, too. If you do not feel like it, use warm salty water, but since I’m guiding you step by step, as you are roasting the pumpkin you can also prepare a pot of stock. Once the pumpkin risotto is ready, how to make it special? I added a handful of toasted and chopped hazelnuts, but you could also add pumpkin seeds – toast them in a pan with a teaspoon of olive oil for a minute or two -, some pan fried pancetta, or bacon, or even a sausage: crumble it into the risotto when you add the pumpkin pulp. In the time balance of this dinner, prepare the appetiser in advance, and just reheat it if needed. Then prepare the risotto and serve it immediately. As for the dessert, you should have everything ready. Have fun, and let me know what you’re planning to cook! Preheat the oven to 200°C (390°F). Begin by roasting the pumpkin. You will only need half, about 500 g (1.1 lb). Cut it open, remove the seeds with a spoon and place the pumpkin on a baking sheet lined with parchment paper. Season the pumpkin with olive oil, salt and pepper, rub the surface of the pumpkin with your fingers to distribute the seasonings. Roast it for about 45 minutes, until the pumpkin is golden, almost caramelized on the edges, with a pulp so soft that it can be scoop out with a spoon. Remove it from the oven and set it aside. While the pumpkin is roasting in the oven, prepare the vegetable stock. Wash the carrot, celery and parsley and peel the onion. Cut the carrot and celery into large chunks, and divide the onion in half. In a small pot pour the water, and add carrot, celery, parsley and onion. Add the salt, too. Bring the water to a boil over medium heat. When it starts boiling, lower the heat and let it simmer for about 20 minutes. The water will reduce by half, and it will become a light vegetable stock. Put this aside too. If you use it immediately you will not need to reheat it, but if you make it well in advance, be sure to warm it up before using it for the risotto. Now it's time for the risotto. Finely chop the onion (if you do not feel to master the knife skills properly, use a cutter, but do not chop it too much or it will become a mush). Pour the olive oil in a pan, add the chopped onion and half a teaspoon of salt: the salt will help you to cook the onion without burning it. Sauté the onion in the olive oil over low heat until it becomes translucent and soft. Just a few minutes will be enough. Add the rice and toast it. Stir it with a wooden spoon into the sautéed onion and let it toast, always stirring, over medium-low heat, until the rice will be translucent, almost pearly. If you listen carefully to the pot, your will hear it crackle imperceptibly. Again, a few minutes will be enough. Pour the white wine over the rice: let it evaporate, stirring with the wooden spoon, until the rice has absorbed it. Now cook the risotto by pouring the hot vegetable stock in at least 4 times. Cook the risotto over medium-low heat, stirring very often. Doing this, the risotto will become creamier thanks to the starch released by the rice. Halfway through the cooking, when you have used about half of the vegetable stock, add the pumpkin pulp by spoonfuls. Stir thoroughly and you will see that the pumpkin will melt in an orange cream and will also colour the grains of rice. Keep on adding the stock to cook the rice. This whole process will take about 10 minutes, not more, so remember to taste the risotto every now and then. It will be ready when you feel it soft, but still with a hard soul inside, slightly al dente. When you have finished the stock, or maybe you’ll have just a tiny bit left, and when the rice will be cooked but still al dente, remove the risotto from the heat, add the butter and the grated cheese and stir well. This is what we call mantecare, in Italian, which means almost to cream the butter and cheese into the rice. Taste it one last time to see if it still needs a little salt and you are ready to serve it in the dishes. Sprinkle with black pepper, and add some toasted hazelnut. Enjoy your meal. Tow memoirs from two strong inspiring women: Becoming, by Michelle Obama and Wild, by Cheryl Strayed. I devoured the first and now I am truly enjoying every single page of the second. The second episode of Cooking with an Italian Accent is now on line, and I’m talking about my signature dish, the arista, a roasted pork loin. 12 Truths I Learned from Life and Writing, this is the transcription of a TED Talk by Anne Lamott, a writer I really admire – her Bird by bird is a very inspiring book if you love writing. The second point of her list really resonate with me in these days: almost everything will work again if you unplug it for a few minutes — including you. I baked Zoe’s Chocolate Chip cookies for Tommaso for our Valentine’s Day: they are beyond perfect, perfectly explained as each and every recipe she shares. Ciao Juls, just made this! 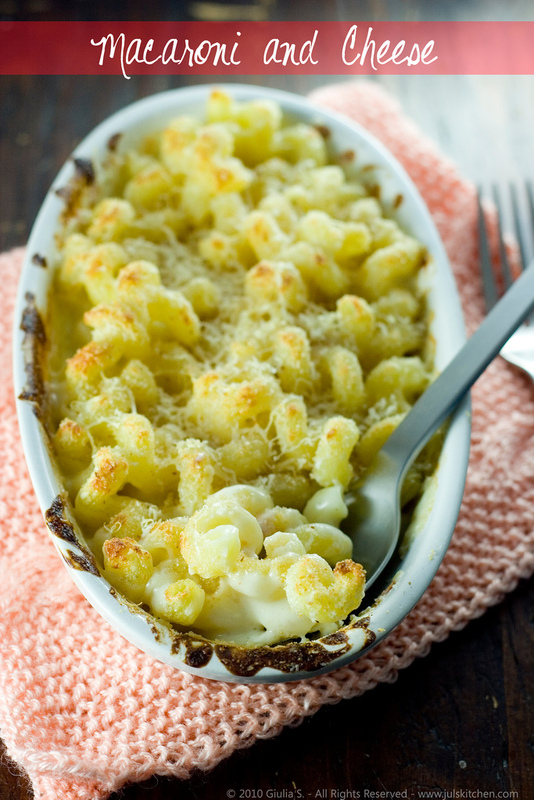 Perfect, creamy delicious and so satisfying! Perfect for Valentines dinner ! oh this makes me so so so happy! !